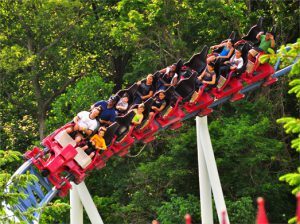 Bowcraft Playland is a home to New Jersey's most awesome array of family rides & attractions, where both children and adults will have a blast and we're located just minutes away! Come and create memories that last forever & bring families closer together! Bowcraft has so much to offer fun lovers of all ages! Have a ride with our new Crossbow Roller Coaster, or take a spin on the new Muzik Express. In addition to these, we also have many other fun & exciting rides including The Drop Zone, Crazy Submarine, Galleon Pirate Ship, Frog Hopper, and Scrambler just to name a few. We also have old favorites as The Merry Go Round, Train, Bumper Cars, and Tilt-A-Whirl. Other Specials & Coupons To view Bowcraft Playland Admission Tickets, other Specials and Coupons, go to their special page by clicking here. Bowcraft Playland updates this page throughout the year, so check back to see if new specials and coupons have come in. Note to our visitors Bowcraft Playland coupons and specials can change without notice. So please visit their official website to make sure of the latest pricing and coupons.